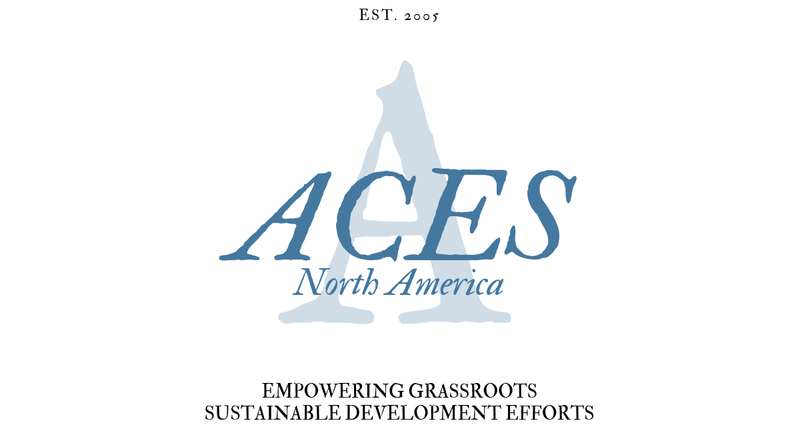 ACES, an acronym for Advancing Communities by Educating and Serving is a 501c(3) non-profit organization that works tirelessly to improve the lives of impoverished people in the Dominican Republic. We realize that eliminating poverty will not be accomplished by just one method, so we don’t limit ourselves by having a narrowly constrained formula for helping communities in the DR. Rather, through our connections on the ground in the Dominican Republic, we work to build rapport with communities and identify their most pressing needs. Then we design solutions to solve these needs in a sustainable manor. While we realize the necessity of temporary relief at times, we primarily focus on sustainable solutions that will eliminate poverty and improve the standard of living for the long-term. Our vision is that people and communities who have limited resources will have the opportunities to improve their quality of life through efforts such as education, health initiatives, and entrepreneurial programs. We believe that this will positively impact neighboring communities, nations, and the world. We will strive for that vision with sensitivity to each culture and with a determined respect for human dignity. Advancing Communities by Educating and Serving (ACES) is a charitable organization dedicated to making the world a better place by supporting sustainable grassroots projects and programs in impoverished communities. We strive to empower individuals and communities for sustainable development. In 2002, a dedicated and idealistic group of Dominicans formed a non-profit organization to serve communities in the Santo Domingo region. Their main objective was to help develop health and education programs that would break the cycle of generational poverty. 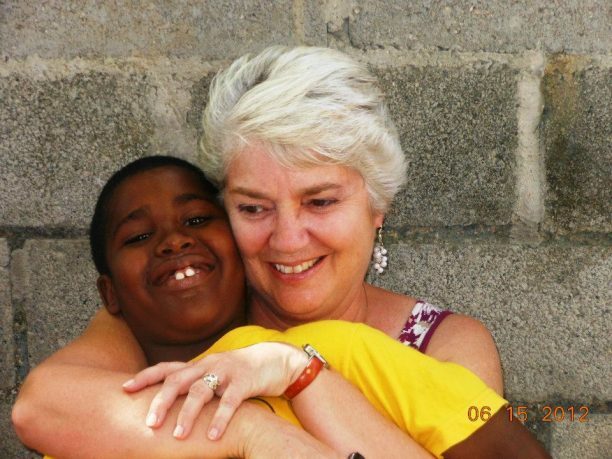 In 2005, when Linell Stabler (the current president of ACES) was an International Relations student at Bucknell University, she had the opportunity to go to the Dominican Republic and observe the newly formed ACES group. Fascinated by the group’s mission for sustainable community and economic development, Linell returned to Pennsylvania determined to expand ACES’ support network to the United States. Over the last 9 years, ACES has been able to make some significant improvements and developments in the Dominican Republic through the support of generous and like-minded individuals and businesses. We’ve started a clean water project in Ceuta Abajo that provides potable water to an entire community of 700 people within the city of Santo Domingo. We host regular medical outreaches with local health professionals and are able provide medical, dental, pharmaceutical, and psychological help to 500 – 700 at each event. We adopted and expanded a small private school in a barrio in Cabón Haina that now serves 270 students. We are very proud of our journey so far, and the way we’ve impacted so many Dominicans over the last few years. We know we have a long way to go, but we’re determined to eliminate poverty in the Dominican Republic, and with your help we can do it! LEARN HOW TO GET INVOLVED CONTACT US. In the Dominican Republic, alongside a paradise of beautiful beaches, warm and engaging people, and exotic culture exists a fragile society facing numerous challenges. These challenges include a weak democratic system, corrupt public institutions, human rights abuses, an underdeveloped educational system, inadequate health services, and insufficient protections against environmental and natural disasters. Especially concerning is the state of the public government-run education system. With an average education completion level of 8th grade, Dominican students are not being prepared to solve the challenges facing their country. With an abbreviated school day of 3 – 4 hours, classroom continuity is hopeless and ineffective in most of the public schools. Until 2012, the Dominican government seemed unable to address these problems to turn around what was recognized as most as a downward spiral. Halfway through his first term in office, the current President, Danilo Medina, has determined that an improved and better-funded education system is one of his top priorities, building more school buildings and creating programs to increase enrollment. His campaign pledge to increase education spending to 4% of GDP and his popular literacy programs have helped, but the big picture is daunting and the likelihood of Medina’s programs continuing after his term of office is remote. Moreover, despite adding school buildings and more educational program, there is a significant shortage of qualified teachers to staff the new schools and meet enrollment demands. For these reasons, our organization has made education one of its top priorities through efforts like Projecto Educativo of ACES (PEACES). Though ACES works hard to assist and empower local communities in a number of ways, education remains central to our mission. Dominicans cannot demand a more representative and responsive government, stand up against human rights abuses, or experience the quality of life they deserve without increasing and improving educational opportunities. ACES IS COMMITTED TO ABSOLUTE FINANCIAL TRANSPARENCY. We are entirely a volunteer-run non-profit. We dedicate every cent to serving those in need in the Dominican Republic, and as such, we never pay ourselves a penny.